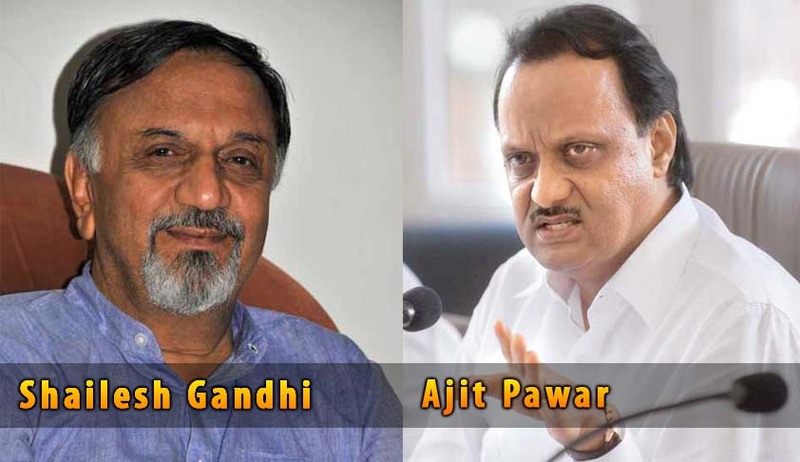 The Bombay High Court on June 11, 2015 dismissed a petition filed by former Central Information Commissioner Shailesh Gandhi requesting copies of income tax (I-T) returns of former deputy chief minister Ajit Pawar under the Right to Information (RTI) Act. Gandhi had sought information about Pawar, who is also the nephew of NCP chief Sharad Pawar, from the Central Public Information Officer (CPIO) of income tax department on November 21, 2012. However, the piece of information was denied on the ground that it was related to a third party. The Central Information Commission, New Delhi, also rejected Gandhi’s appeal saying he had not been able to prove any larger public interest with corroborative evidence. However, the Bombay HC bench headed by Justice R M Savant remarked: “The petitioner wants to proceed on the hypothesis that the information sought by him cannot be denied to Parliament. In so far as Parliament is concerned, it has its own rules of business and it therefore cannot be presumed that the information in respect of I-T returns of a member of Legislature would be sought.” The same would be in the discretion of the Speaker, he said. He also indicated that various existing provisions under the Representation of People’s Act can be invoked to obtain the information. However, the kind of information sought by the Petitioner does not qualify under S. 8(1) (j) of the RTI. Quite recently, Shailesh Kumar, who is well known for exposing several national level scams, has expressed to challenge the aforesaid decision in Supreme Court. He said that he was disappointed by the judgment and would seek advice on the matter from other RTI activists in the country including Aruna Roy, Prashant Bhushan, Jagdeep Kochar, Trilochan Shashtri and others. A soft copy of the orders has been sent across to them by him. He said it was anticipated that the PIO (Public Information Office), FAA (First Appellate Authorities) and CIC will reject his plea and then he approached the high court. "I approached Bombay High Court through a writ in 2012. But the court dismissed my petition. I am thinking of challenging the decision before the Supreme Court," he said. "In the Ajit Pawar case, I had contended that there is a general belief that politicians and elected representatives are corrupt and amass wealth at the expense of the public. There is also a common belief that Income Tax authorities do not check IT returns of those who are elected and their affidavits filed at the time of standing for elections," he said. He also added that the Girish Deshpande judgment has constricted the scope of the RTI. Read the Bombay High Court Judgment here.